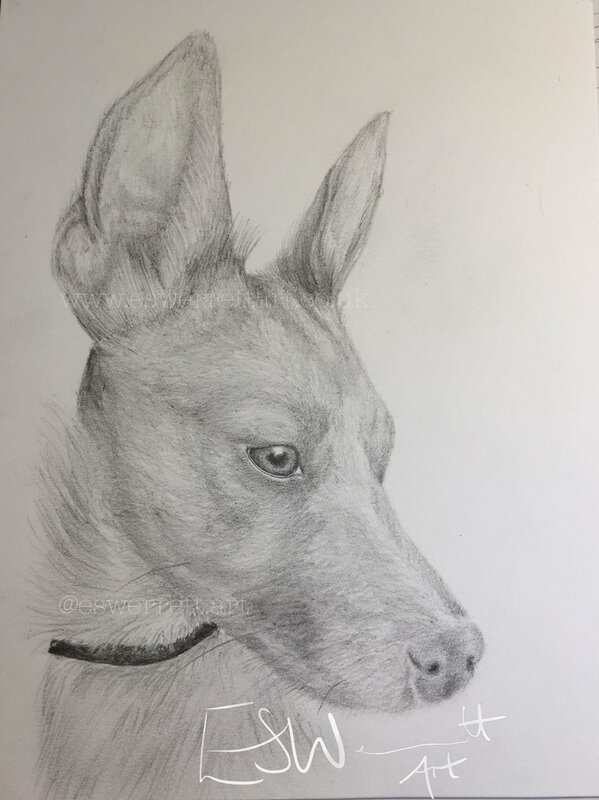 I undertake pet portrait, animal and wildlife commissions in graphite and coloured pencil. The result is a bespoke purchase or gift for a loved one which will last a lifetime. 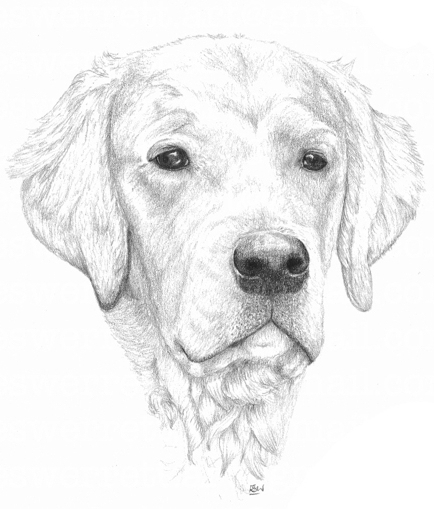 For further information and to purchase a pet portrait, please click here. 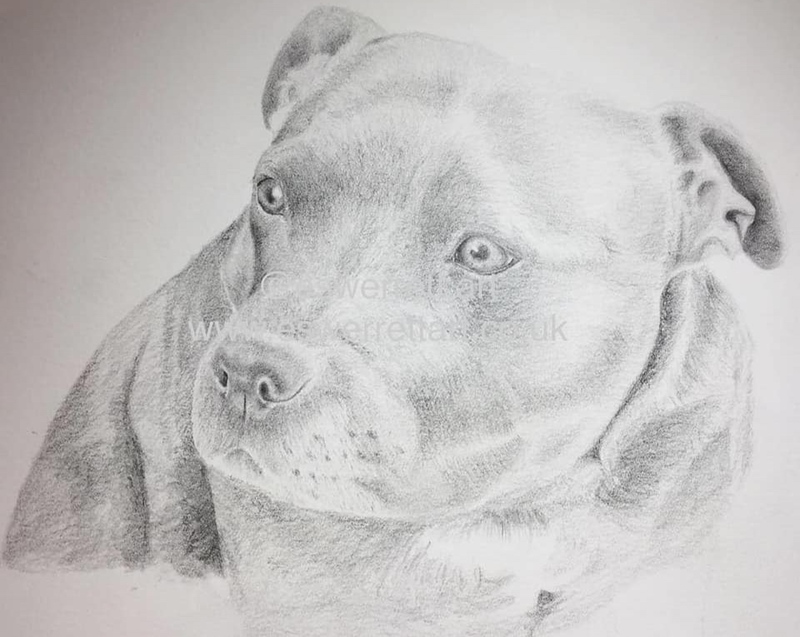 Nutmeg’s portrait was commissioned as a Christmas present for her owner. As it was a secret commission, I drew the portrait using from multiple reference photos to create the final pose. I received a lovely message on Boxing Day saying the owners are delighted with the picture and that Poppy was very well behaved on her first Christmas Day. I was lucky enough to meet and photograph Teddy the Spaniel and Endeavour the Nova Scotia Retriever at their pet photoshoot before I drew their portrait. This enabled me to understand the character of the dogs as well as capture some fantastic reference photos for their portrait. 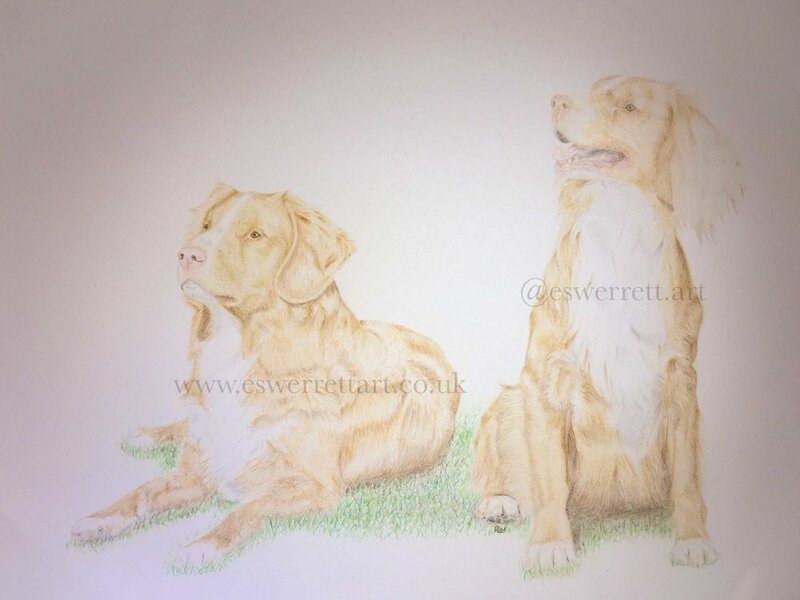 I really enjoyed photographing and drawing Teddy and Endeavour with the different features, poses and textures of hair on both dogs. If you are interested in booking a pet photoshoot like Teddy and Endeavour’s owners, please get in touch. These two cats, Marmie (above) and Jazz (below) were commissioned as a pair for a birthday present. I loved drawing both their portraits and I am looking forward to seeing them framed in the future. The two bulldogs, Bryson and Emmerson were commissioned as a birthday present for a lady in the U.S.A. Originally the portrait was going to be posted but a surprise visit from the recipient and her husband meant the portrait was able to be gifted in person. They were both over the moon at such a unique present and said Emmerson’s podgy tummy was captured perfectly! If you are interested in a mounted and framed portrait like this one, please enquire upon booking. Kipper the golden retriever is a deserving portrait subject after all his ups and downs as a puppy, I loved drawing this picture to capture his wise eyes and personality. Luna the whippet is owned by a good friend of mine and gets on well with my pet labradoodle. 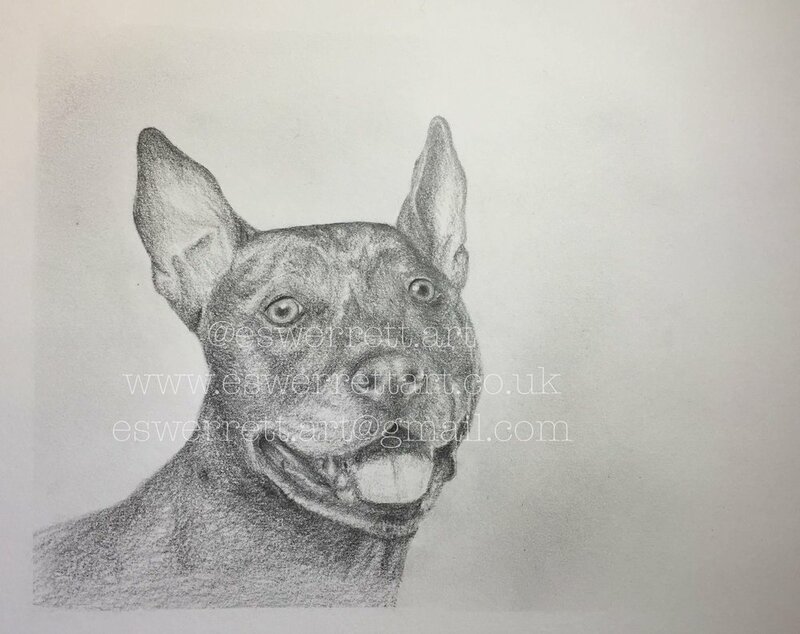 She was a suiting fit for a pet portrait and I enjoyed drawing her. 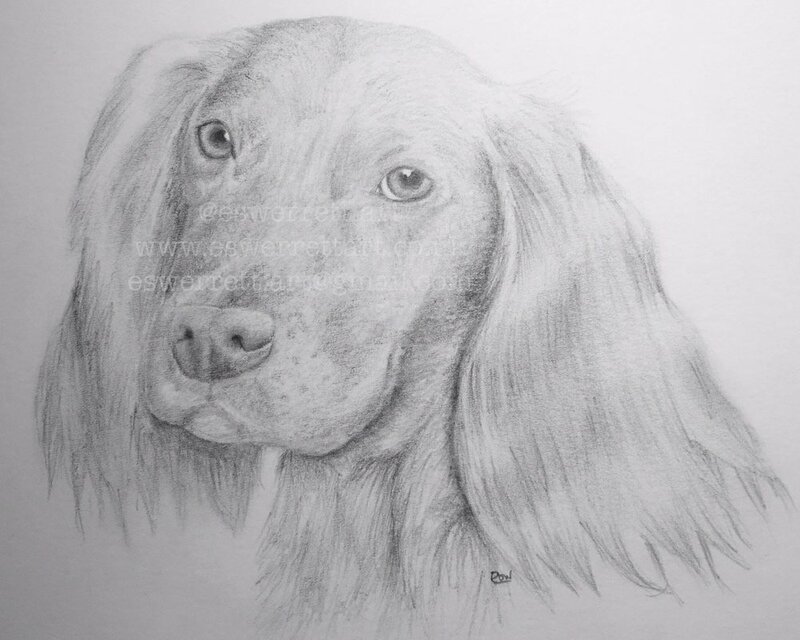 This portrait of Lottie, the cocker spaniel, was gifted as a birthday present to a good friend of mine and was the first picture I drew for a couple of years. I realised how much I missed drawing and alongside the good feedback, it prompted me to set up ESWerrett Art, so Lottie is the reason behind the business! Use the form below to book your pet’s portrait!